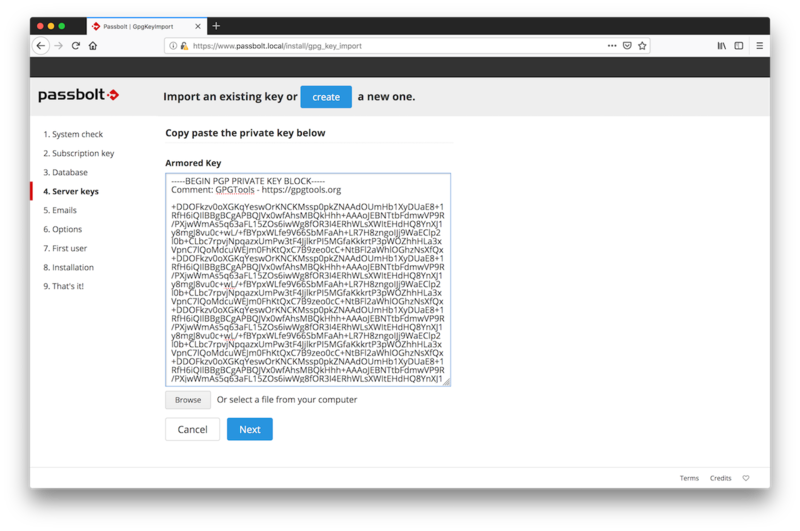 This tutorial covers the case where you want to upgrade your current instance of passbolt CE v2.x into Passbolt Pro. Important: Please take a full backup of your Passbolt CE before proceeding with the upgrade. Backup should include passbolt files as well as the database. Passbolt is reported to work on a large variety of operating system configurations. Therefore this help page is a generic guide that should work for most environments. If you run into any issues with your particular configuration, please check the forum. Maybe someone else has had your issue. If not, make a post and the community will try to help you. PHP-GNUPG: for key verification and authentication. Some general default: xsl, phar, posix, xml, zlib, ctype, curl, json. & more depending on your configuration (for example if you want to use memcache for sessions). In the following examples we assume you are running passbolt using apache in the /var/www/passbolt directory. You will need to replace these values with your local environment settings. Replace the previous passbolt by the new version. /var/www/passbolt$ cp -R ../passbolt_old/webroot/img/public/* ./webroot/img/public/. 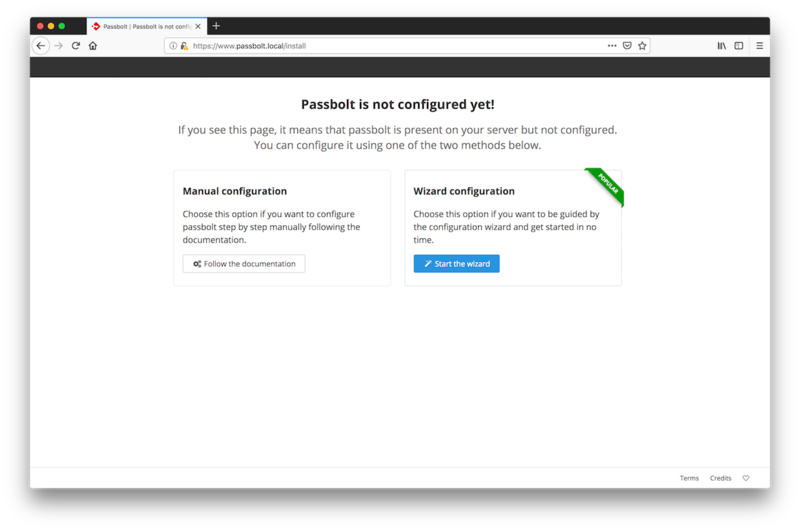 To configure Passbolt Pro, the easiest way is to use the in-built configuration wizard. Just point your browser to your passbolt url. You will be greeted by a welcome screen. Click on the Configure with wizard option and follow the instructions. Note: Enter the same configuration details as the the ones that were used for your Passbolt CE. This includes your database, smtp details, as well as your server GPG key that you’ll need to import (Do not generate a new one). Once you have followed all the steps of the wizard, Passbolt Pro is ready to run. You will be redirected automatically to the login page where you can log in. At this stage, Passbolt Pro should be working perfectly. Any issue? Do contact us on the Passbolt Pro support with the email provided during your purchase. This article was last updated on April 3rd, 2018.